Press TV: Please tell us about the significance of Ashura and the special message that this day harbors and why it has become such a cornerstone of Islamic history. Shadjareh: It is extremely important because it symbolizes the standing against oppressors and actually asking and articulating confidently for a change towards a society which will have no oppressors and no oppressed and it is very relevant in every ages, in every time, in the history and present and this is very important because right now currently we live in a society where we see oppression, tyranny, killing and assassination all around the world and it is very important that in a Husseini way we will stand up against those and you know, it is not just a historical aspect. When Imam Hussein said people like me would not give [Bay’ah] to people like you, he did not say I do not give [Bay’ah] to you. He said people like me, i.e. if you are standing in the path of Imam Hussein, then you actually have to follow that completely and it is very relevant to today and what is happening now. 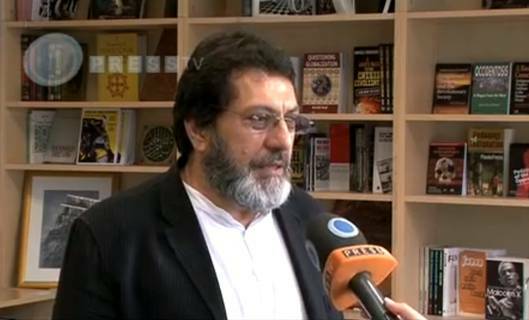 Press TV: Mr. Shadjareh, what message does the lesson of Karbala send to oppressed nations today in contemporary society? Shadjareh: It shows that the power of sort of speaking out and standing for justice and also the real true meaning of victory. Victory is not just a secular sort of concept of actually becoming victorious over your opponent. Victory is also exposing the atrocities of your enemy and I think that sort of victory is something that we should not forget and I think we need to stand up to expose the arrogance of those who claim to be the hegemony of the world and using and creating havoc around the world and also we need to stand up against religious nationalism. I mean, the opponent of Imam Hussein, Yazid, was a Muslim but he was promoting a sort of a cultural nationalistic aspect rather than true Islam which is actually encompassing and trying to create a better and just society not just for Muslims but for all.